We have landed – the Summer Countdown is underway, and we have started with an absolutely MUST for you all. 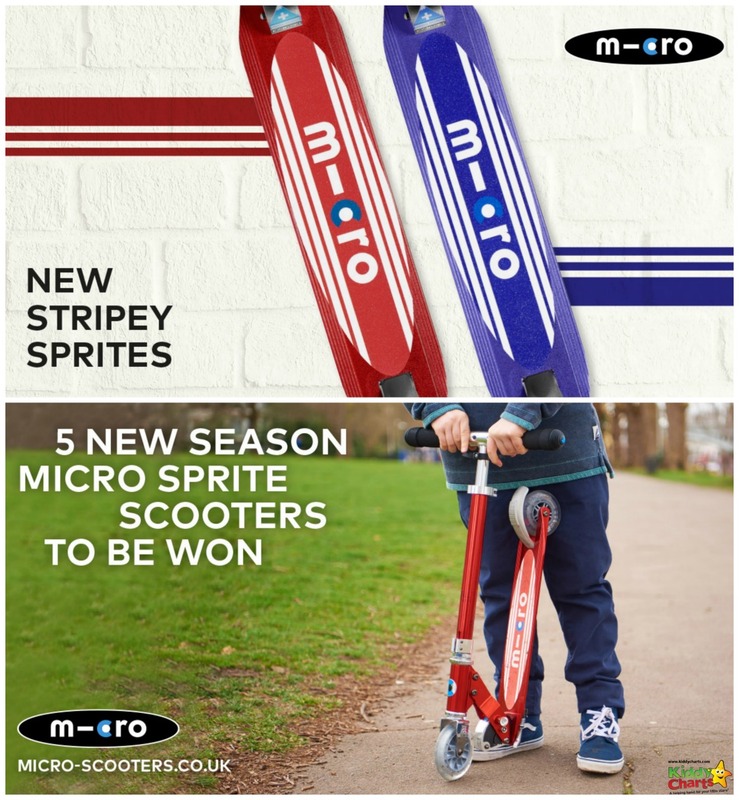 We are giving away FIVE Micro Sprite scooters from Micro Scooters; their new Stripey Stripes worth £99.95 each! Carry straps to help make that look complete. These are the latest in the Microscooter range because we love to keep you all up to date; and they are perfect for any scooting adventures that you would want over the summer. From scooting in the woods, to whizzing about town with mum – they’ve got it covered! Sharing your unique link; and if someone enters from this, that’s more entries for you too! So come on – fill out the widget below, and get going! The competitions is only open to residents of the UK & Ireland. Please do join our mailing list so that we can keep you informed of the next giveaways. We also have some amazing printables to give to you over the next 12 days too; so you’ll get all them as well! And what’s amazing about all of this? It is completely FREE to enter, and the printables are FREE to download too! Thanks for coming to see us today – see you again soon!